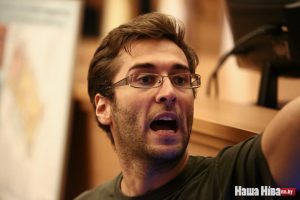 BelarusDigest > Social > When do the Belarusian authorities compromise with civil society? Perhaps one of Lukashenka’s greatest achievements in Belarusian society has been his fight against poverty. 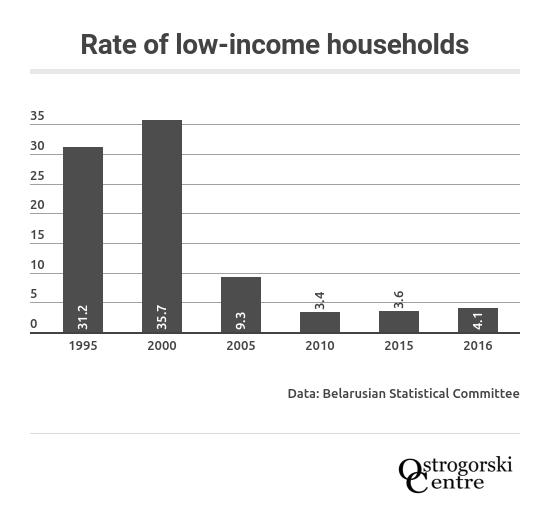 In the worst years of the 1990s, half of the population of Belarus was languishing below the poverty line. This figure is now 10 times smaller. However, poverty is once again on the rise. In some regions, the average worker earns just $100 per month, barely over the Belarusian poverty line (around $90). The main reason people end up below the poverty line is loss of employment, as the state fails to provide any meaningful help for the unemployed. Belarusians on the dole are entitled to around $12 per month. Residents of neighbouring Poland, meanwhile, receive around $200. It seems that poverty is doomed to continue spreading, as the authorities see no way out of the crisis other than shifting the country’s economic woes onto the backs of the poor. Two decades ago, Belarus was an unambiguously poor country. In the 1990s, all over the region, wages dropped dramatically as a result of the collapse of the socialist economy. At that time, about half of the population of Belarus was below the poverty line. Thus, it is no surprise that the campaign slogan of Aliaksandr Lukashenka in 1994 was ‘take people away from the abyss’. This message proved successful, and perhaps his fight against poverty is the reason Lukashenka has remained popular for so long. Belarusian economic growth most benefited the poorest segments of society, as director of the IPM Research Center Aliaksandr Chubrik told the author. However, much has changed since the 1990s, and the current recession has drastically affected the poor. Despite claims of the authorities that the Belarusian economy is finally resuscitating, the crisis continues in the east of the country. According to official data, during the first half of 2017 the economies of Vitsiebsk Region shrunk by 3.2% and Mahiliou Region by 2.6%. However, even if the economy grows, the poorest of the poor will not necessarily reap the benefits. In recent years, redistribution of resources is slowly tipping in favour of the wealthiest. If in 2010 20% of the richest Belarusians owned 36.7% of the total wealth, in 2016 this figure jumped to 38.8%, according to data from the Belarusian Statistical Committee. This figure may in fact be misleading: inequality is probably rising even more sharply. Many rich people have bank accounts abroad and find legal ways to avoid paying taxes. For instance, while people working in the ‘old economy’ pay all taxes, IT companies are asking the Belarusian authorities to prolong already existing tax benefits for IT businesses and give them even more. Exacerbating the situation, anywhere from 10 to 25 per cent of the working population in Belarus operates in the shadow economy, according to the Solidarity with Belarus Information Office. The state is unable to redistribute wealth from this sector to those most in need. 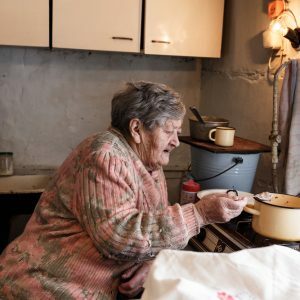 In response to this crisis, foodsharing is gaining popularity in some parts of Belarusian society. People share posts on vk.com, the most popular social network in Belarus, offering food they want to give away. It usually only takes several minutes for someone to make a claim. Some people are even willing to go from one end of Minsk to another just for a meal. The largest foodsharing page on social media now has more than 8,000 followers. The World Bank sets out four important factors which contribute to poverty: younger age, living in the countryside, unemployment, and low education. In the case of Belarus, employment and region of residence seem to be the most important. Unemployment certainly remains the deciding factor, as Belarus lacks a proper system of social protection for the unemployed and obscures the real unemployment rate. Welfare benefits for the unemployed range from $12 to $24, and ‘less than 10% of unemployed people actually receive them’, says economist Aliaksandr Chubrik. Thus, this winter’s social parasite protests should come as no surprise: people are simply not making enough money to live. 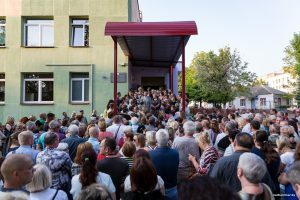 Protestors in 12 Belarusian towns marched against a Belarusian tax on unemployment, gathering around 20,000 demonstrators. Many people linked the end of the protests to the fact that the weather improved and people went to their ‘dachas’ in the countryside. 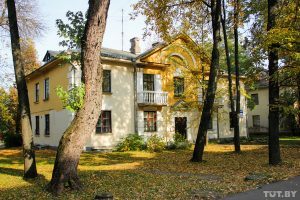 However, summer houses are not just a place to relax when it’s hot: an IPM Research Centre study shows that the share of income from part-time farming is growing everywhere in Belarus, even in Minsk. Place of residence is another important factor influencing the poverty rate. Roughly speaking, the more one’s place of residence looks like Minsk, the less likely one is to be very poor. According to official data, in Minsk the poor comprise 1.4% of all households; in Homiel Region the figure is 5.9%. 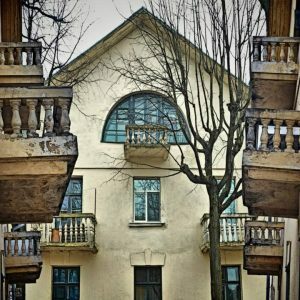 In most countries, residents of the capital tend to be wealthier, but it seems that many Belarusian regions, especially villages, cannot free themselves of the cycle of poverty. Although the government aims to mitigate the standard of living discrepancy between the regions and the capital, in practice, the gap between Minsk and other parts of Belarus keeps widening. Belarusian laws and the statements of officials suggest that the authorities have little empathy towards Belarusian poor people. The Belarusian authorities’ response to the economic crisis is to shift the burden on ordinary people. For example, instead of supporting the unemployed, Belarusian authorities tax them. Recently, Aliaksandr Lukashenka stated said that a new version of the decree on social parasitism would be ready by 1 October. Moreover, this year the authorities started incrementally raising the retirement age, and the payment of utility tariffs increased by one-third in 2016, according to the Ministry of Economy. Although these measures may be wise economically, they are not driven by a belief in liberalism. Instead, they simply reorganise the social functions of the state to hit the poorest. It is unlikely that the Belarusian authorities will introduce real free-market reforms. Such statements, of course, do nothing for the government’s image. However, as voting in Belarus is merely a formality, officials are unlikely to suffer any consequences.